Joe Hoscheit connects with the ball. The junior outfielder finished the 2016 season leading the team in RBIs despite missing eight games. A long and historically bad season for Northwestern has come to an end, but the Wildcats went out with somewhat of a bright spot. 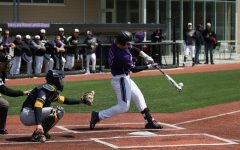 NU (15-39, 7-17 Big Ten) eliminated Rutgers (27-28, 9-15) from Big Ten Tournament contention with Thursday’s series-opening win, then secured the series with a win Friday before dropping the season finale to the host Scarlet Knights on Saturday. Saturday’s 10-7 loss, however, marked a new low point in program history. The Cats’ 39 losses are the most in a single season, breaking the previous mark of 38 set in 1992. NU had tied that mark last week against California. The Cats’ .278 overall winning percentage is also among the worst all-time. In 28 seasons leading NU before retiring after last year, coach Paul Stevens never had a team win fewer than 30 percent of its games. The .278 mark is the worst since 1970, when the Cats played just 31 games. The Cats finished 12th in the 13-team Big Ten ahead of only Purdue, who won just 9 games all season. No other conference team had an overall record more than one game below .500. Against Rutgers, several NU performances mirrored season-long efforts. In his final appearance in a Cats uniform, senior pitcher Reed Mason allowed just 1 run on three hits over seven innings, lowering his ERA to 3.89 in Thursday’s 5-1 win. 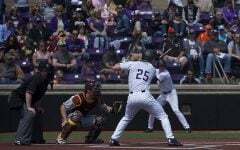 Junior outfielder Joe Hoscheit had 3 RBIs in the series to finish the season with a team-leading 33. On the flip side, NU continued to struggle on the mound. Junior Joe Schindler couldn’t shake a recent rough patch Friday, allowing 6 earned runs in just five innings. In the bullpen, fellow junior Pete Hofman gave up 3 eighth-inning runs Saturday; it was the ninth time Hofman has allowed multiple runs this season. However, breaking from a poor offensive stretch, the Cats put up 8 runs in the seventh inning of Friday’s 12-10 win, courtesy of RBIs from six different players. 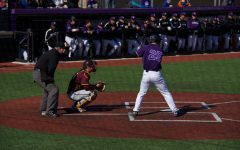 The 8 runs were more than NU scored over the entirety of last weekend’s 4-game sweep by California, and the Cats hadn’t scored that many runs in a conference game since April 10. 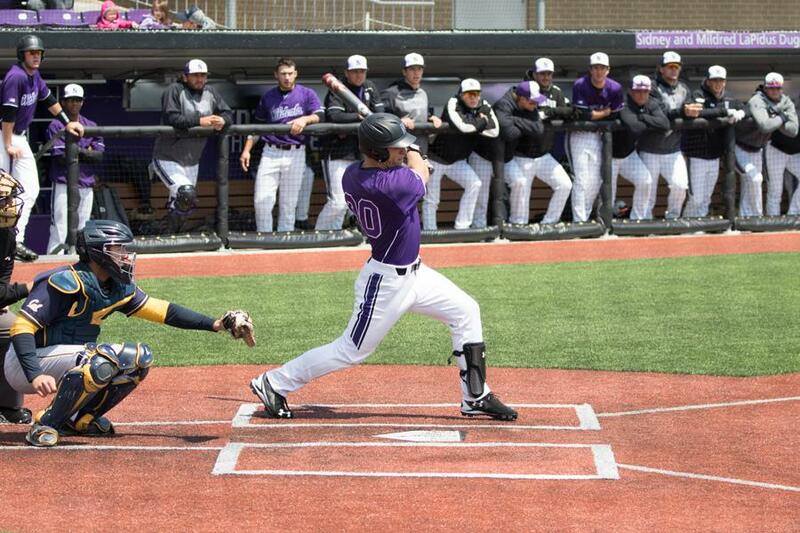 The series closed the careers of six NU players, though only four saw action against the Scarlet Knights. Pitcher Jake Stolley relieved Mason on Thursday and started Saturday’s finale. He allowed 5 earned runs in four innings of work. First baseman Zach Jones had five hits in the series and drove in the first run in Friday’s game. Outfielder RJ Watters pinch ran on Friday. Despite having little to play for, the Cats still had something left in the tank for the final series of the year.